This year, the theme for the American Library Association’s Teen Read Week (October 8–14) is “Unleash Your Story.” I always love the themes they pick, and this one is no exception. Anyone who has been around a teen or tween before knows that they love to share their stories. There’s a reason why social media, blogging, podcasting and other forms of digital sharing are so popular with this generation. 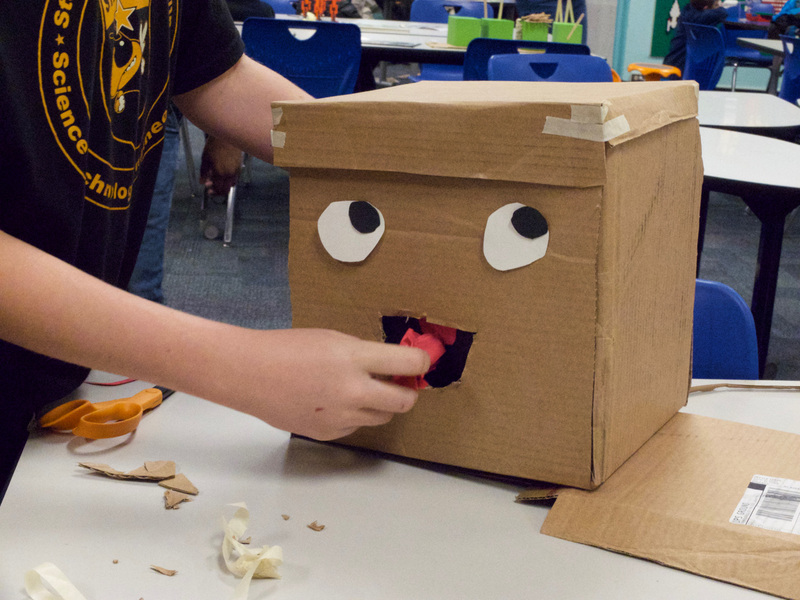 Storytelling and makerspaces go hand in hand. I’ve often found that students who aren’t always the best at expressing themselves through writing or speaking are able to get their stories out when they create with their hands or when they use digital tools to document their stories. These three maker projects are designed to enable storytelling for all students. And even though these projects are geared towards Teen Read Week, they can be adapted for younger students as well. Some of these projects require you to have some tools on hand, but most are adaptable to whatever is available. Don’t think that you have to replicate the projects exactly; you can adapt them and make them work for your own students. Zines are generally defined as short, hand-made, self-published magazines. They had their heyday with Generation X, but that doesn’t mean that Millennials won’t enjoy them as well. This project works best as a workshop, but it could potentially be a passive maker station as well. This project offers a great opportunity to collaborate with your art and creative writing classes. If possible, acquire a few examples of school-appropriate zines (some can be pretty mature). Give your students some time to flip through them and get a feel for what they are like. Share a bit about the history of self-publishing and the important role that zines played in helping people to share their stories (check out the resources below for more history on zines). Provide some blank paper (thicker art paper is best, but copy paper can work too), some Sharpies, pencils, pens, and other art materials. Make sure to have some rulers too, as they’ll make it easier to draw boxes for more comic-style zines. Challenge students to use these materials to create a short zine telling a story from their life. It could be an important event, one of their favorite memories, or just an ordinary day. If they don’t feel comfortable sharing about their own lives, have them create a nonfiction zine or a zine about a character. If the students are okay with their work being shared, use a photocopier and staplers to create copies of each zine for all the participants. Give students time to read each other’s zines and offer feedback. 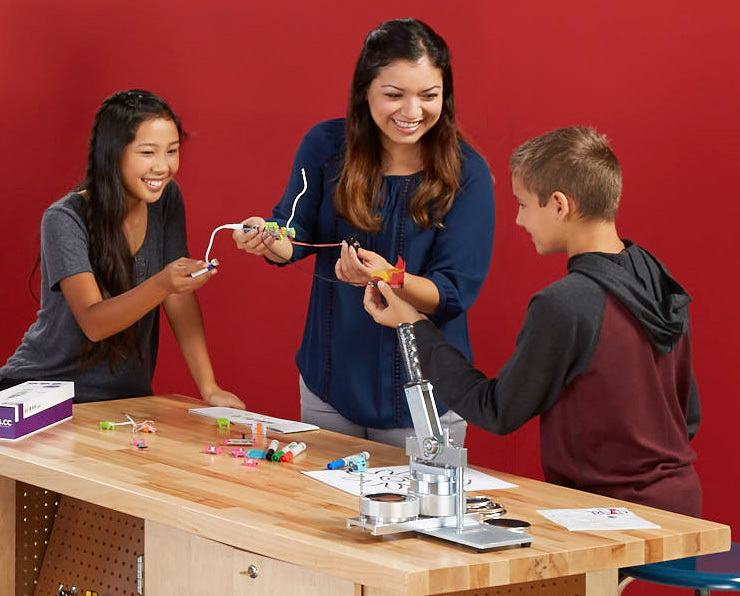 Explore arts and crafts, engineering, coding, circuitry, media production and more — everything you need to spark imaginations and bring out the maker in your students. The Creature Challenge is one of my favorite projects. 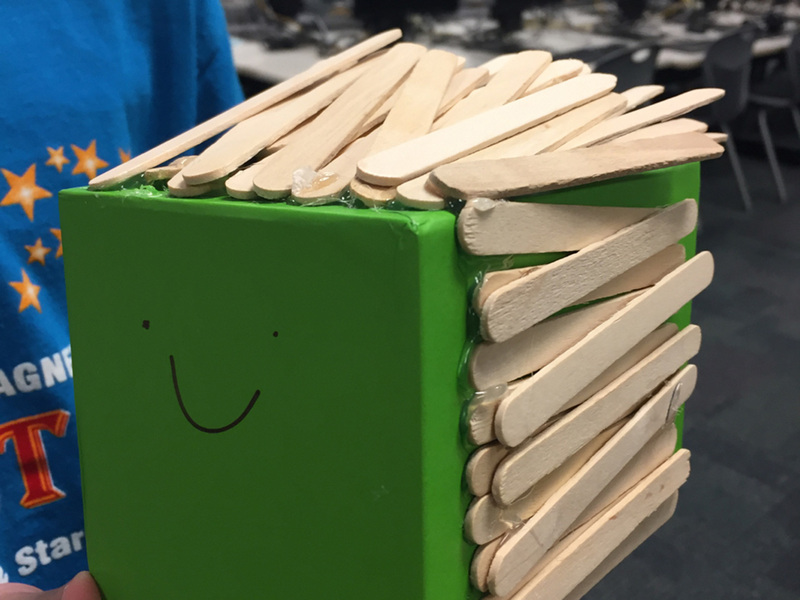 The basic premise is to challenge students to “design a creature that does something” using whatever materials you have available. In the past, I’ve done this with cardboard, arts and crafts materials, LEGOs, K’nex, Cubelets and lots of googly eyes. Use a tablet to record the student sharing about their creature. 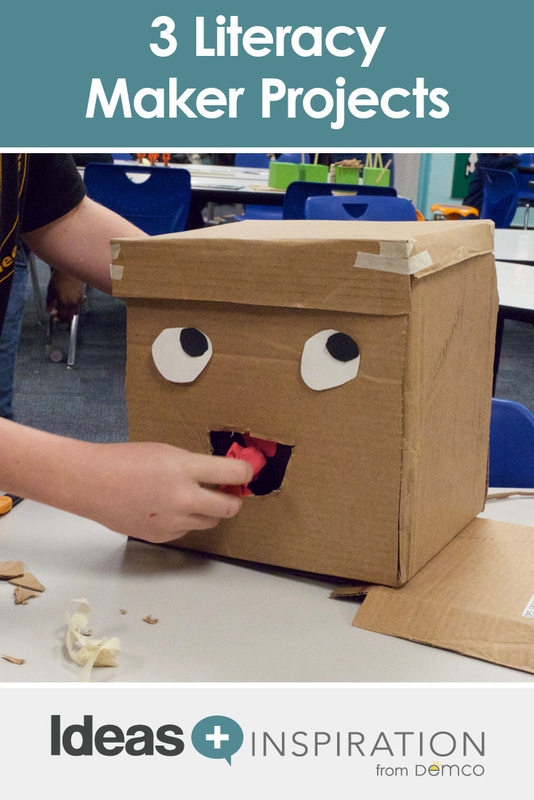 Have students create a stop-motion animation to share their creature. Have students write a creative story or draw a comic strip about their character. Once the challenge wraps up, have students share their creatures’ stories. They could get up in front of the class, or you could do a gallery walk. This could also be a great opportunity to host a video conference with another school and have your students share projects with them. Check out the video to see some of my students’ projects and hear their stories. A podcast is generally a broadcasted recording of someone talking about a subject they are passionate about, sometimes by themselves and sometimes by interviewing someone else. Many teens listen to podcasts, so creating a project in your makerspace where they can create their own will likely resonate with many of them. This is more digital making than hands-on making, but it still has a place in the makerspace. For a project like this, you’ll want to have a way for students to record and edit their voices. iPads with an external microphone and Garageband are ideal for this, but you can certainly use other tablets, PCs or Macs as well. Have teens pair up and interview each other about a topic that’s important to them. If they’re struggling to come up with ideas, ask them to share a story about an important event that happened in their lives. It could be the birth of a sibling, the first time they traveled outside of their city, how they met their best friend, etc. After they’ve had a chance to record each other, show them the basics of editing with the software you’ve chosen. This will help them to cut out the “ums” and awkward pauses. Give them a set length of time that you want the final piece to be; 3–5 minutes is probably best for this format (otherwise it’ll be too long for you to have time to listen). Once all the projects are finished (this will likely take more than one session), have a podcast listening party. If you have enough devices, upload one podcast onto each device and attach a pair of headphones. Have students do a digital gallery walk where they go from one device to another and listen to each other’s podcasts. What is your favorite project to help kids tell their stories? Share with @DianaLRendina and @demco on Twitter and keep the dialogue going.